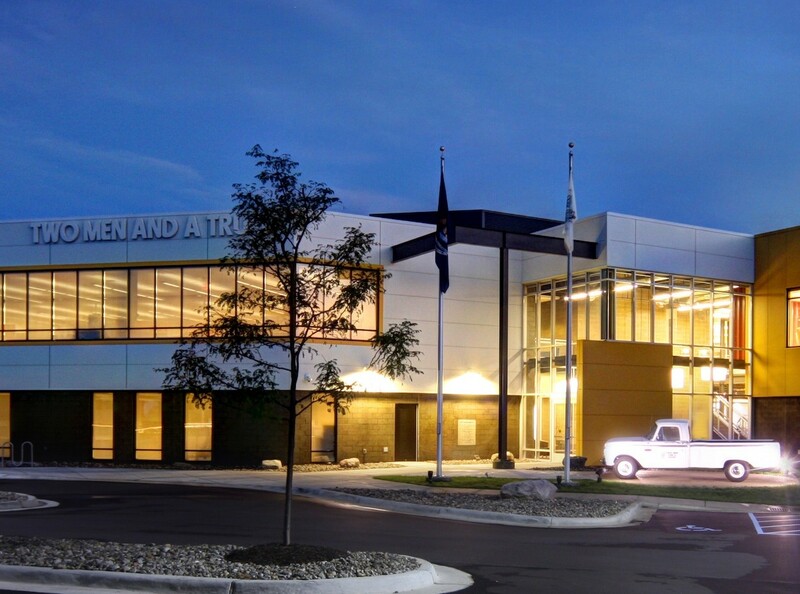 Like so many of Wieland’s clientele, Two Men and a Truck International (TMTI) has forged a multi-decade relationship with Wieland that has resulted in three different phases of expansion and renovation over a 13 year span. The relationship started in 2002 with the construction of 24,000 SF of new office, and an addition of 10,000 SF several years later. Then, in 2013, Wieland was called on again to add 22,000 SF more, while renovating the old space.